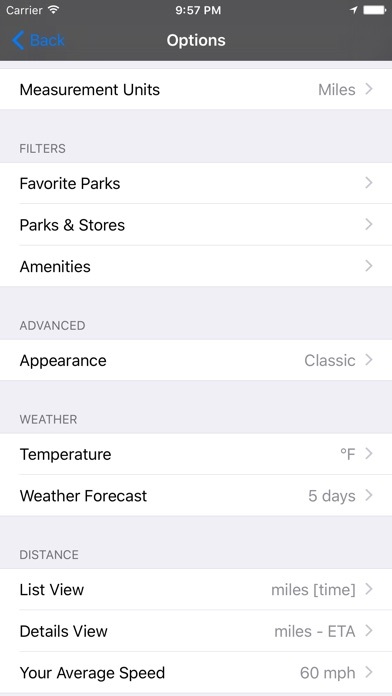 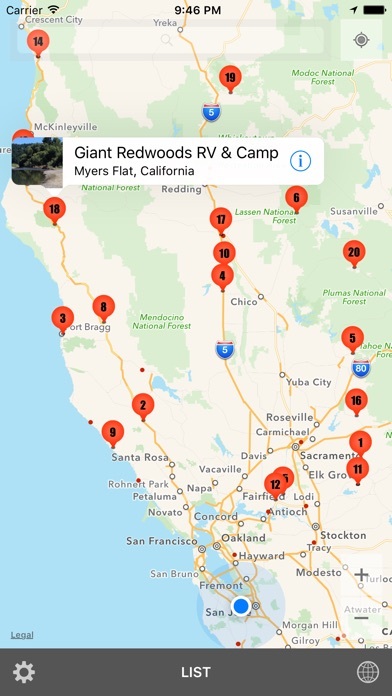 The #1 camping app of 2016. 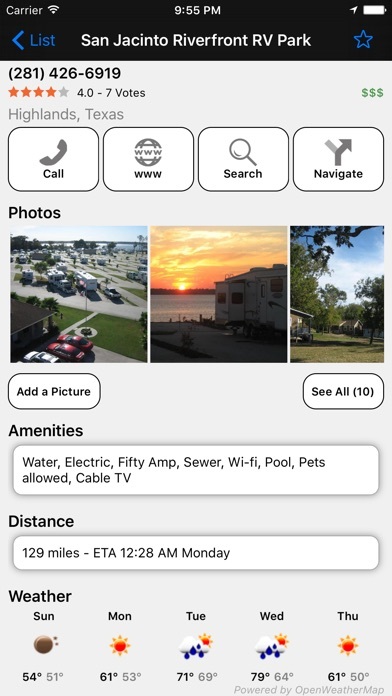 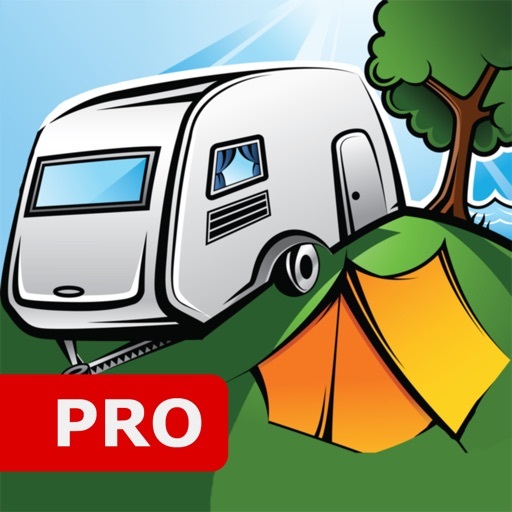 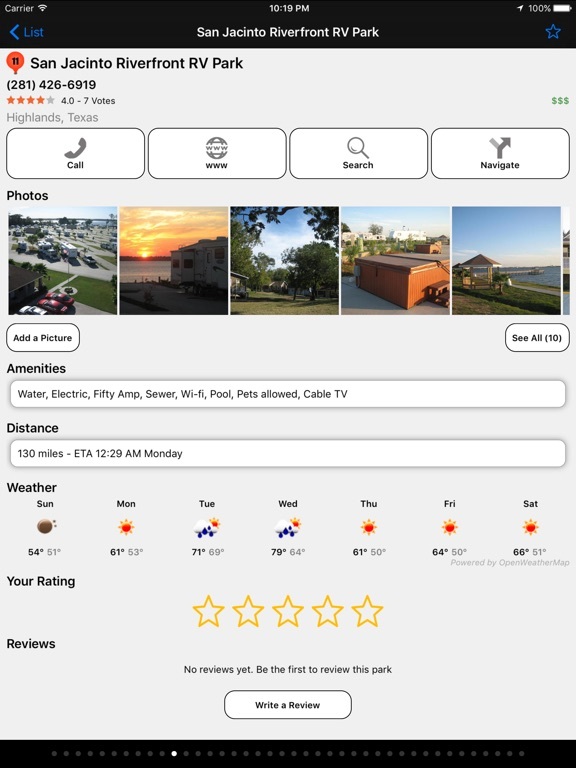 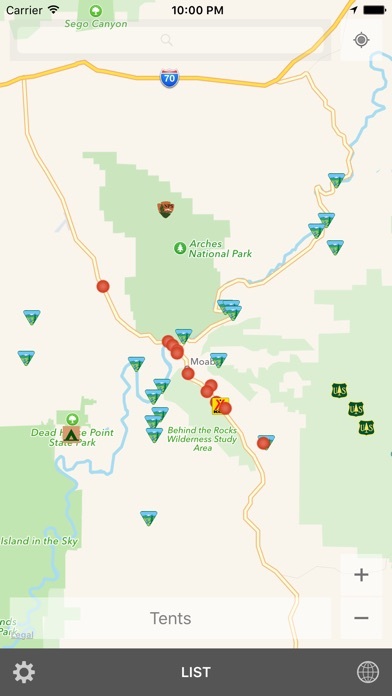 This app was developed to help people find great RV Parks in North America (USA, Canada, Mexico). 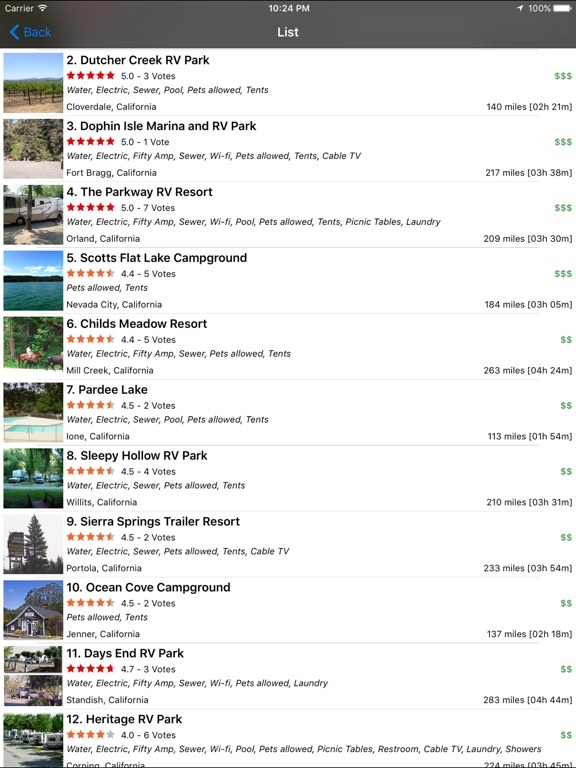 Find over 40,000 RV parks, campgrounds, rest areas, gas station, and stores. 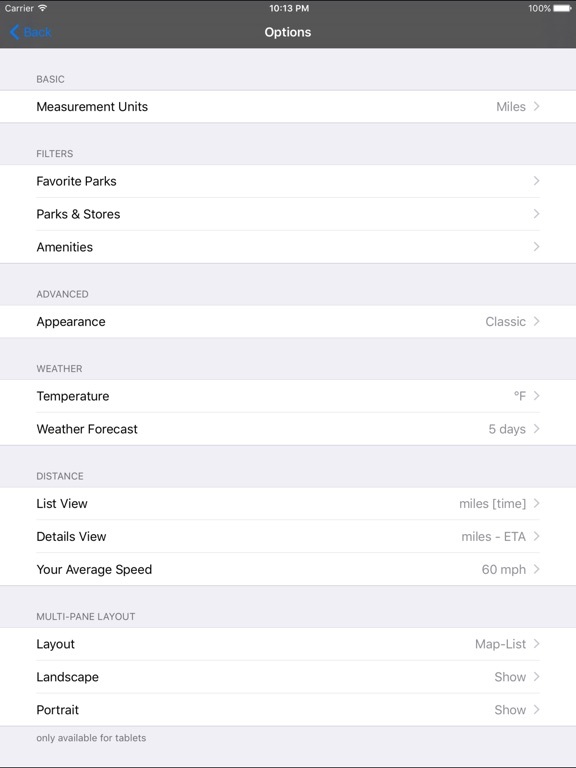 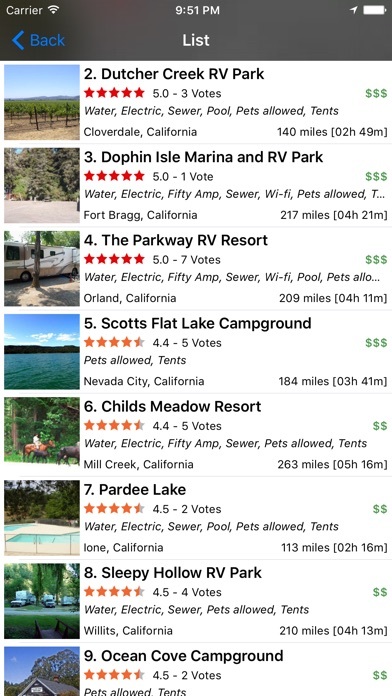 Commercial RV parks are sorted by rating and can be viewed in list mode. 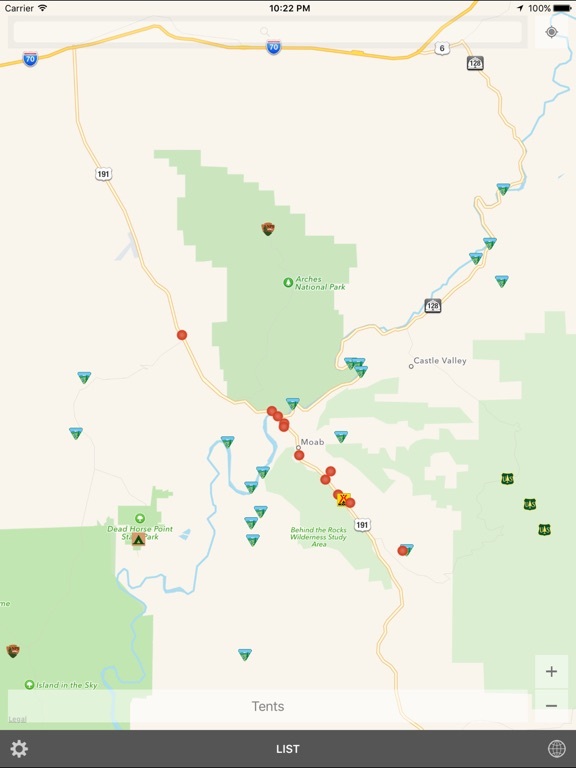 If you zoom in far enough, you will see gas station, rest areas, stores, etc. 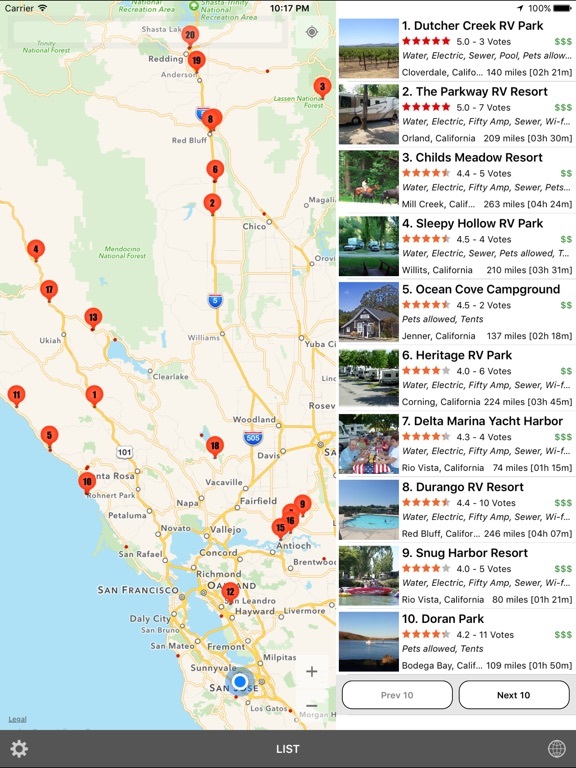 Compared to similar applications, this app uses local database, so it works much faster and less dependent on internet, however internet is required to view maps and pictures.